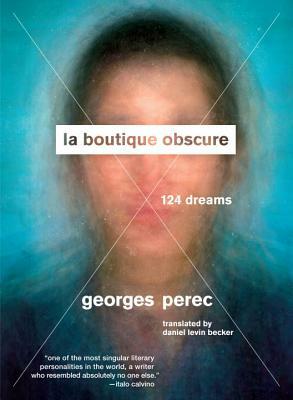 In La Boutique Obscure Perec once again revolutionized literary form, creating the world’s first “nocturnal autobiography.” From 1968 until 1972—the period when he wrote his most well-known works—the beloved French stylist recorded his dreams. But as you might expect, his approach was far from orthodox. Avoiding the hazy psychoanalysis of most dream journals, he challenged himself to translate his visions and subconscious churnings directly into prose. In laying down the nonsensical leaps of the imagination, he finds new ways to express the texture and ambiguity of dreams—those qualities that prove so elusive.